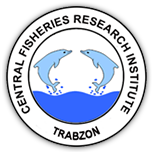 1 Young Researcher and Elite Club, Urmia Branch, Islamic Azad University, Urmia, Iran DOI : 10.4194/1303-2712-v16_3_14 Viewed : 5500 - Downloaded : 1983 The present study was aimed to reveal whether Ichthyophthiriasis induces plasma parameters alterations in rainbow trout. Thereby, total sialic acid (TSA), adenosine deaminase (ADA), heat shock protein-27(HSP-27), homocysteine (Hcy), cholinesterase (CholE) activity level and some blood parameters were studied in suffered ones. After diagnosis of severe Ichthyophthiriasis, blood samples were collected from seventy infected and same numbers of healthy ones. The results indicated significant increases (P<0.01) in TSA, Hcy, HSP-27, CholE, MDA, Urea, CREA, AST and TPP in plasma along with a remarkable decrease in ADA, glucose (GL), catalase(CAT), glutathione peroxidase (GPx), paraoxonase (PON) and zinc in the infected group compared with healthy ones. In hematology, thrombocytosis, neutrophilia, monocytosis and eosinophilia along with anemia were clarified in infected group than healthy ones.